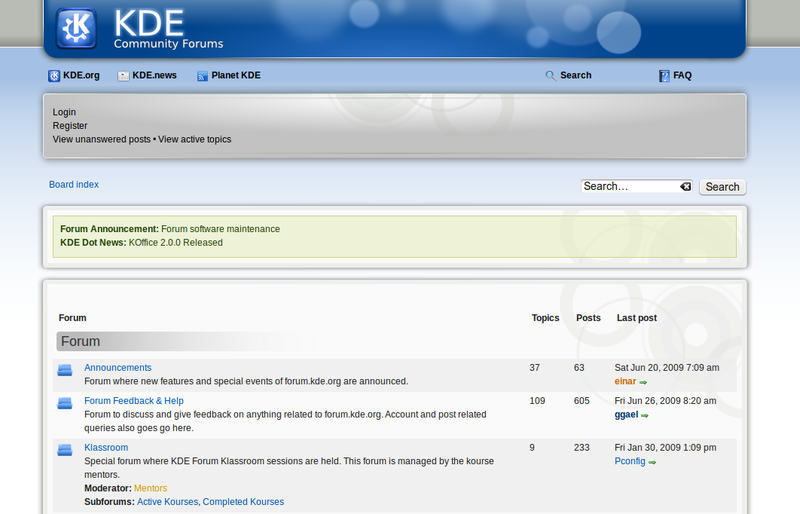 Today, a major upgrade of the KDE Community Forums took place. The change brings quite a number of changes to the forums themselves, and it’s a further step towards providing a better experience for KDE users (and developers too!). The popular section “KDE Brainstorm” has also received improvements, such as the ability of having a neutral vote, an improved voting pad, and a brand new look to match the one of the forums. As a final note, we would like to thank phpBB developers cs278, naderman and NeoThermic for their kind assistance and great support during the migration process. Thanks a lot! 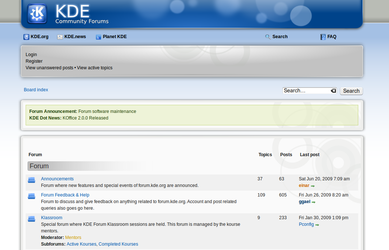 Take a tour around the new KDE Community Forums, and let us know what you think!